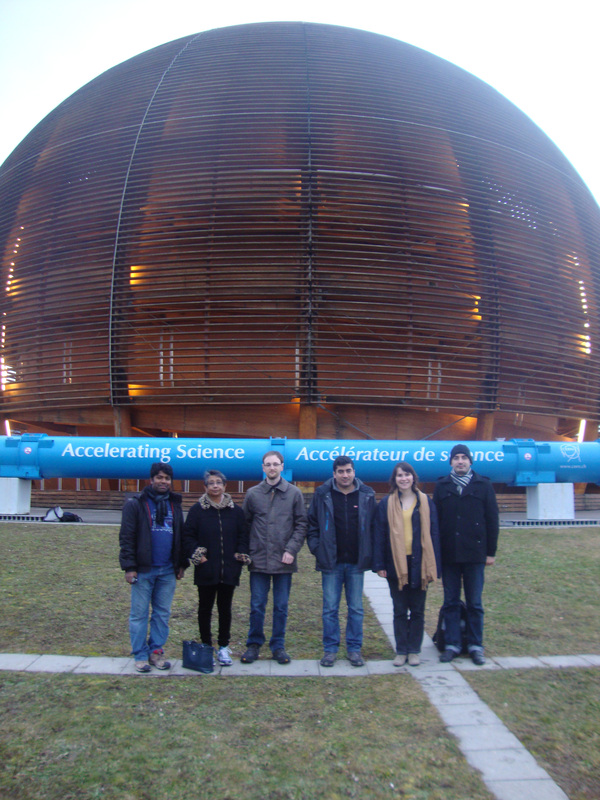 Our group focuses on both the Energy and Intensity Frontier (ZEUS, BABAR, ATLAS, CMS, ILC, Fermilab experiments CDF, MIPP, E683, E781). Our experimental effort ranges from detector R&D to discovery physics analysis. It includes construction of detectors for use in Fermilab fixed-target experiments as well as large-scale detector efforts such as the design, construction, installation and commissioning of the CMS hadronic forward calorimeter. We have several group members stationed at Fermilab to participate in the Fermilab LPC and in test beams for detector development. 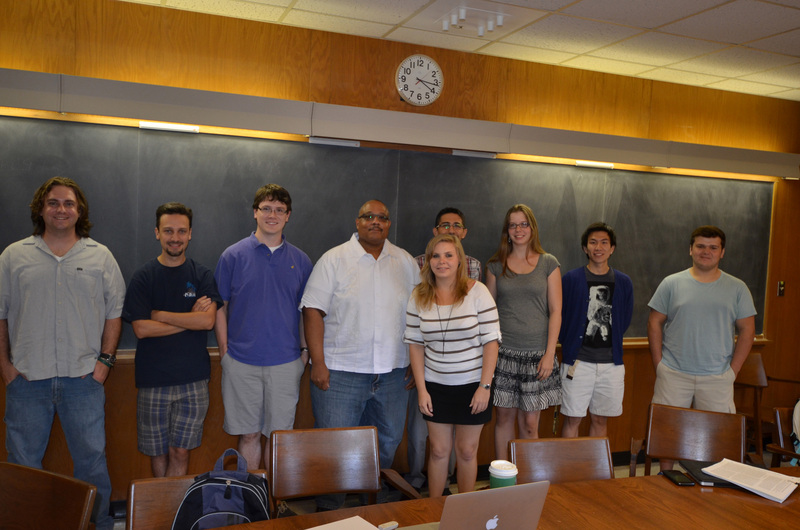 We also collaborate with Fermilab theorists. Our analysis interests range from precision tests of the Standard Model to searches for beyond-the-Standard Model physics. We do theoretical work in string theory, specifically gauge-gravity duality and dark matter and dark energy, and 2+1 Yang-Mills and Chern-Simons theory. We are unique in the long history and extent of our involvement at Fermilab and in the diversity of our program even though we are a small group. We have been active at Fermilab since the mid-1980s in fixed-target experiments and test beams. Our graduate students and postdocs are in residence at the Fermilab LPC; theory graduate students also spend significant time at Fermilab. Group members who don't live at Fermilab commute often in order to work at the LPC, test beams and other collaborative efforts. We have a long history of building detectors at Fermilab: E704 CNI polarimeter, E781 tracking chambers, E761 silicon detectors and MIPP tracking chambers. More recently we worked with Fermilab scientists and engineers (and other U.S. and worldwide collaborators) on the CMS hadronic forward calorimeter and ILC R&D. Our test beam work includes ZEUS calorimeter tests in the 1990s, CMS and the ILC. Our group greatly benefits from the resources at Fermilab for detector development, physics analysis and theory collaboration. We are a QuarkNet institution. 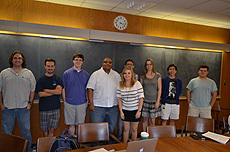 Members of the University of Iowa's particle physics group.